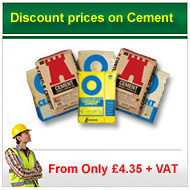 Building Materials Direct aim to save you money by offering great discounts on all your building materials. 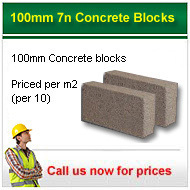 We can supply a huge variety of building materials at cheap prices because we deal direct with wholesalers and specialist product manufacturers throughout the country, this allows us to use our buying power to negotiate great discounts that we can then pass on to you our customers. 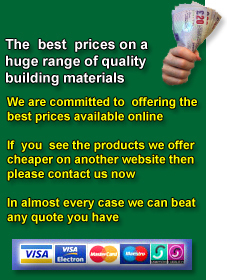 Building Materials Direct deal with a whole spectrum of customers, from large building companies to diy enthusiasts. Whether you are making a small or large purchase you will benefit from our quality service, help and advice along with direct to site delivery which in most cases is free of charge to most areas of the UK. 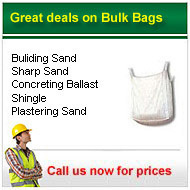 At Building Materials Direct you buy we supply. Every member of our professional sales team have been working in the building supplies industry for many years, they are on hand seven days a week to help with product selection and to offer advice and information about the huge range of building materials we supply. If you are looking for something that is not offered for sale on our website's then please do call our sales office as we should be able to source it and supply a very competitive price. We only provide quality supplies from recognised manufacturers that are well known to building control inspectors across the whole country, we never sell budget substitutes or seconds. Our building supplies are distributed from hundreds of purpose built depots throughout the country to ensure you receive your order within 2-3 days of purchase. 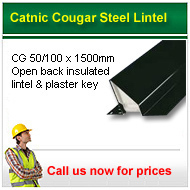 Just give us a call for any building materials.